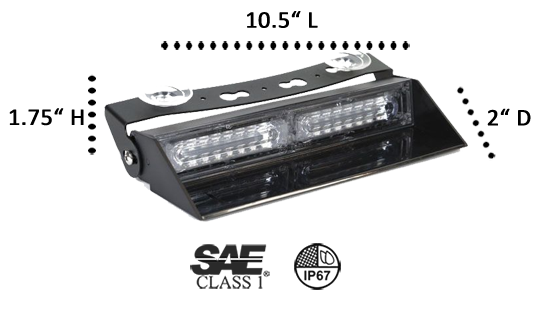 The Fox Trot 16 Linear LED Dash Light is one of our high-end light bars. It has 16 luminous 3-Watt Generation IV LED lights in two light heads. A powerful light spread of 48 watts is produced with Linear 1 Optics. But it’s not only for the dash; it can be modified for a visor or can be mounted on the window by using the sturdy suction cup bracket. It’s got 30 flash patterns; the one in use is shown in LED lights on the back of the unit. The flash pattern and HI/LO switches are also located on the back of the case, so changing the intensity of the light or the flash pattern is quick and easy. The Fox Trot 16 is powered by a cigarette lighter combination plug that has ON/OFF and flash pattern switches. 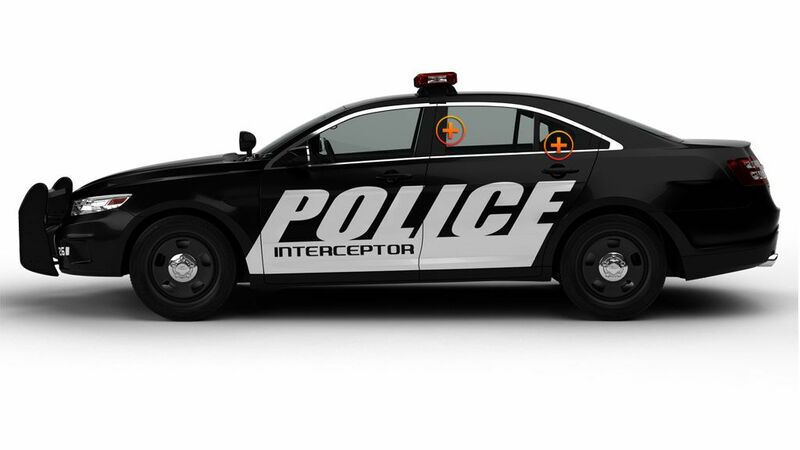 It can be positioned in several locations around the interior because of its size and removable flashback option. Just pack it up and take it with you no matter what you’re driving. The high-intensity little Fox Trot can work with you, no matter where you go! Easy plug and play use, but with the functionality of a high-end emergency vehicle light bar, the Fox Trot is available in all popular color variations. This unit can also be direct wired to existing switch boxes or siren units. The Fox Trot 16 can be synchronized with two other similar units and can also be hardwired to existing light or siren units. The Sync option can be used to coordinate flash patterns on multiple units. 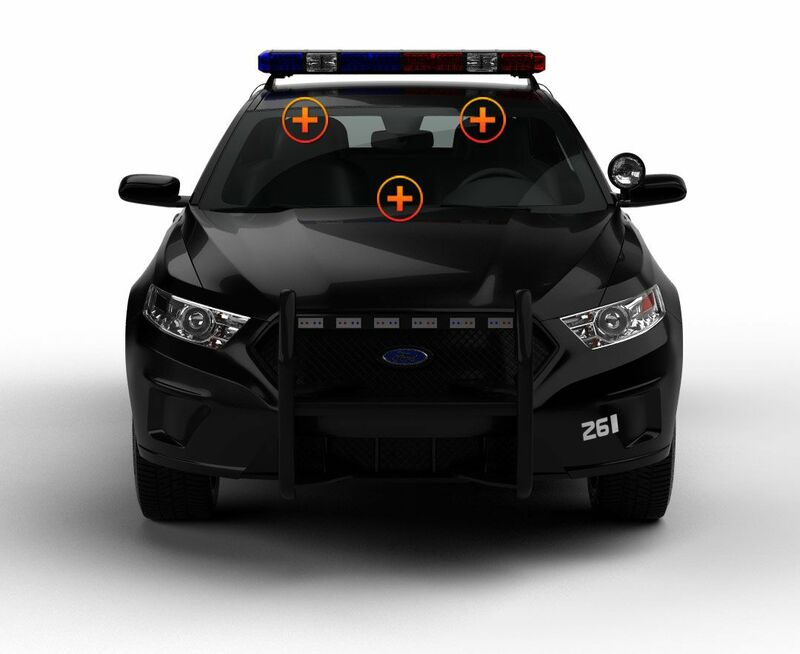 Its practical, versatile design makes it a great first-light choice for volunteers and police officers who want to outfit their POV or fleet vehicle because the Fox Trot 16 Linear LED Dash Light can be mounted on the dash, the visor, or on the window. 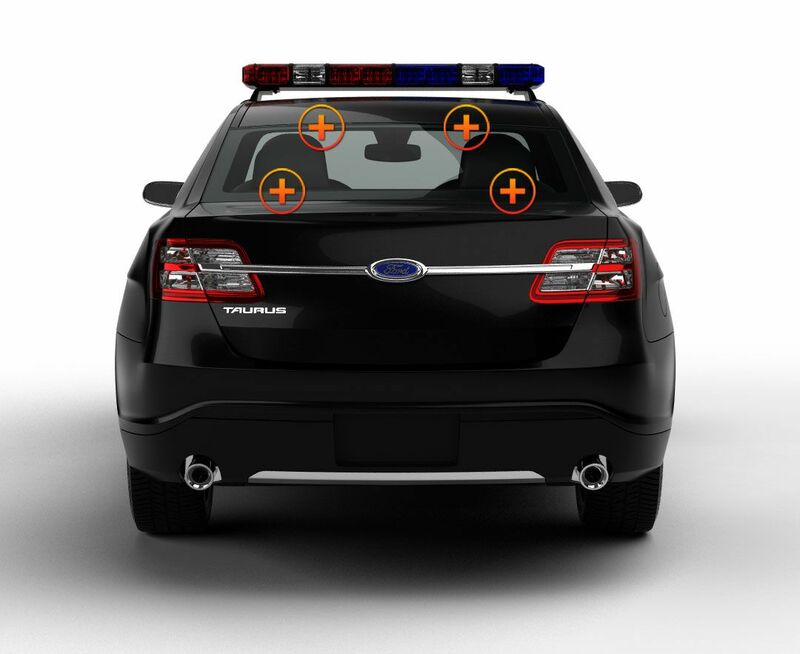 The adjustable, removable flashback shield fits most windshields. I purchased one of these units last week & I couldn't be happier with the performance. Multiple flash patterns. Plenty of cable, so you can put it just about anywhere in the vehicle. I bought one for my own personal vehicle & I am so glad I did. Stores away perfectly under the back seat with the rest of my gear. They're awesome, you won't be disappointed. Amazing !!! Love this light. Works really well. Can't wait to get more !!!! Unbelievably bright. This Dash Light is extremely effective at moving the traffic out of my way when I am responding to a call. I am shocked at how bright this light is. I love the fact that shows the pattern on the back of the light. I can control the light from either the cigarette lighter plug or from the back of the unit. I really like the high and low function. I just got my Dash Light. I am absolutely in love with it. It is ridiculously bright and I love the fact that I can see the pattern I am on right from the back of the unit. I also like the hi/low function and the fact that it can sync with another unit. I bought this light with anticipation to replace a much duller light. I was blown away with how bright it is. I highly recommend this for anyone in the emergency field to purchase this light.